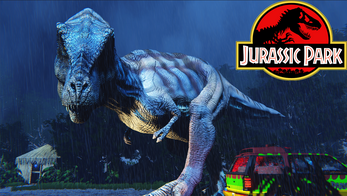 Extract a rar file where you want and run T-Rex Breakout Demo.exe to play. This gave me so many feels. I want more! This is wonderful, thank you. If anyone is curious, the game does work on a Linux based OS using wine. How long is it gonna be for the full game to be released? How can I play this game on a Mac laptop??? I have a 32bit version of windows and i cannot run the game. Is there a 32 bit version available? Don't know why but SteamVR keeps launching everytime I launch this game, even with the option -novr and if I try to play it in VR I just can't open the car door. I strongly recommend that you increase the game character in height equal to the height of the car for the sake of realism because there is a feeling that you are playing for the child. Please do not ignore it. I'm sorry for the mistakes I'm from Ukraine. Yeah, this definitely violates copyright and trademark claims... need to watch out dude, universal's lawyers might not like seeing this. One question: How will you deal with copyrights and trademark if you release this game? Is Universal chill about fan games or not? 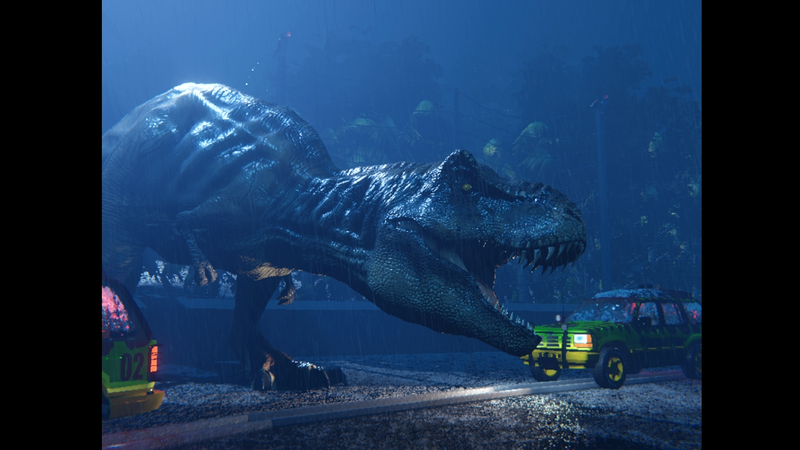 I am kind of working out a Jurassic Park game idea myself but have the same problem :/ I don't want to get in trouble and I bet neither do you so I was wondering how you will deal with that once you make a full game? I think if he releases it for free as a fan project it'll probably be fine. I downloaded the game but it won't star how do you start it? Hey, I've managed to get it going on Rift. 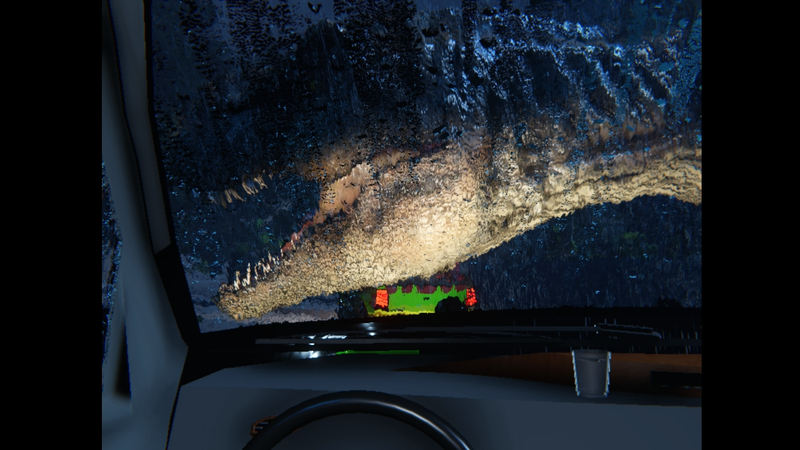 What you're seeing is the menu start screen, but yes the camera starts you off outside car. If you press Enter, it should start the experience. But just a heads up, there does seem to be some issues still for VR users. 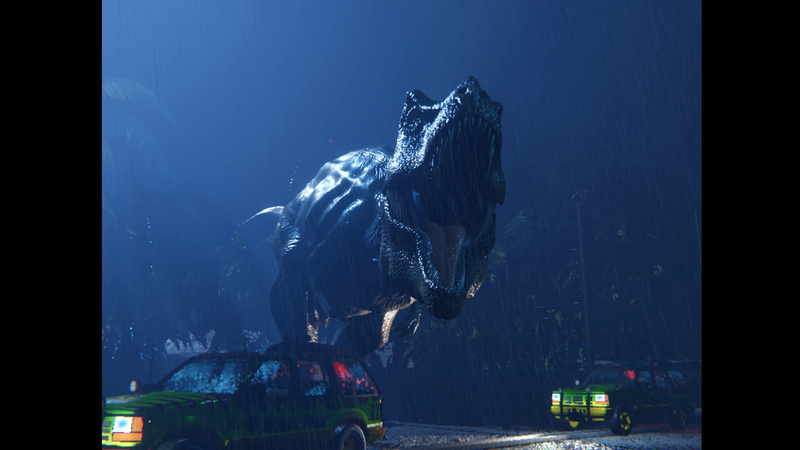 I felt very small in the car and was not sure how to exit the vehicle or do anything else other than watch the Rex circle the vehicle. Is there a ending to this other than you getting eaten? ok thanks for replying so fast! Mine has reallly low fps! How do i fix it? Hi! 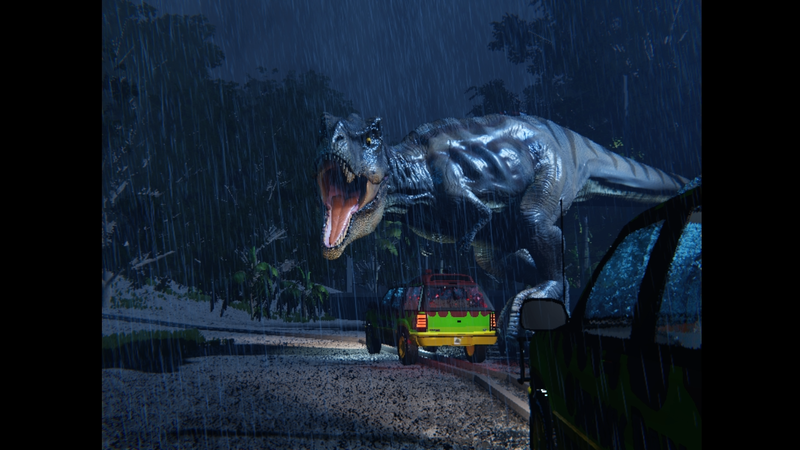 I love all the Jurassic Games so far but what you really need to make is a Game where you have FREEROAM through the lockwood manor where your being chased by indoraptor and you need to make it really cool and realistic but also make it playable for laptops cuz this game is to realistic for my laptop :( but yeah making a freeroam lockwood manor game with indoraptor would be the best thing ive ever seen!! !